Sadly, the Star Trek-style medical technology we’ve all wished for any time we’ve cut ourselves cooking doesn’t exist yet — but we’re trying! Researchers from the University of Nebraska-Lincoln, Harvard Medical School and MIT recently joined forces to design a smart bandage that claims to regenerate skin tissue three times faster than standard bandages. 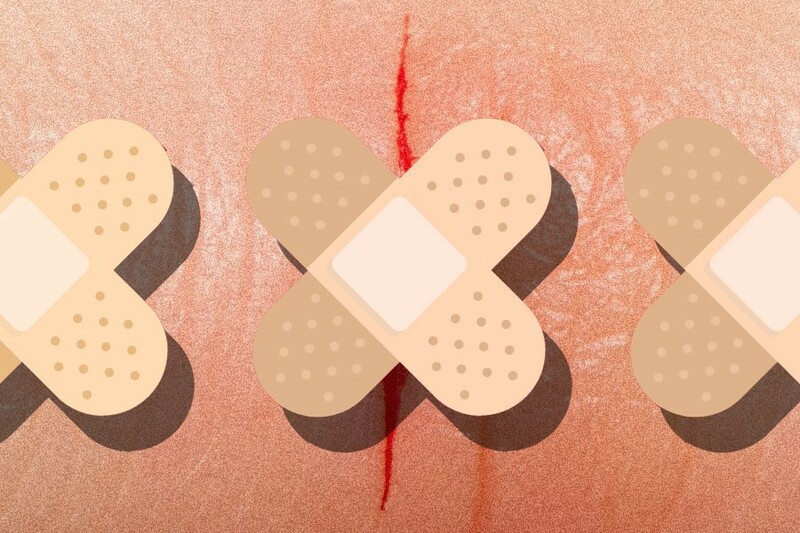 Minor wounds usually heal within three weeks, but theoretically this high-tech bandage could help wounds heal within days. They do this with the help of electrically conductive fibers, coated in a gel that can be individually loaded with infection-fighting antibiotics, tissue-regenerating growth factors, painkillers or whatever medications best serve the wound at hand (or the wound on your hand). While the researchers envision their new-age bandage being used initially to treat chronic skin wounds that stem from diabetes and arthritis — those that refuse to heal within a predictable amount of time, and therefore, result in infections and even amputations — Giatsidis believes their use may someday expand to everyday injuries. “In addition to accelerating the healing process, our bandage might improve regenerative outcomes, such as providing less scarring,” he says. So don’t throw those Band-Aids out just yet.